Smoked turkey breast, 1lb beef cubes, turkey sausage, one dozen eggs, spaghetti squash, lettuce, tomatoes, bok choy, dried black beans, apples, pecans, bread and milk. Now I’m gonna go do some research and figure out how to cook all of this. On another note, get ready for the inaugural beer post from Jeff. He’s been hard at work all day and it smells great around here! 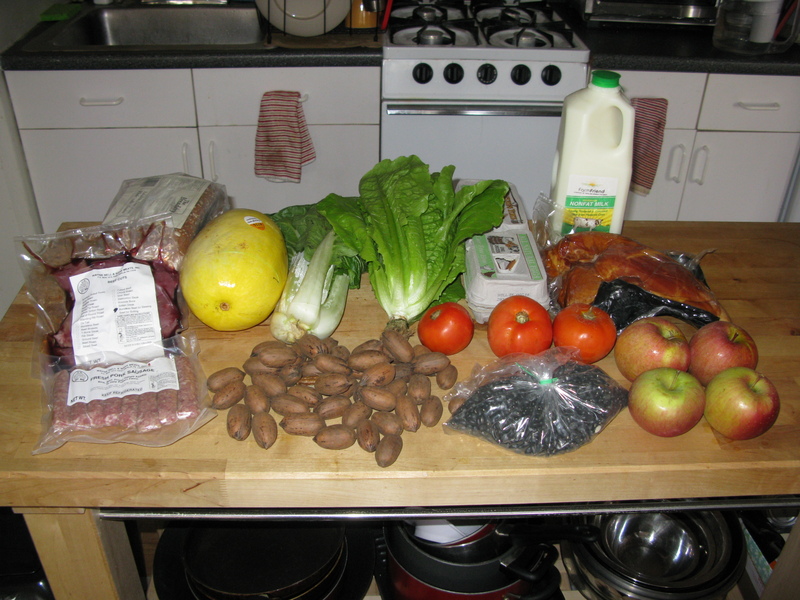 This entry was posted in Groceries by Ines. Bookmark the permalink.